Low carbon unalloyed steel used for tubing that is relatively easy to form compared to alloy steels, high-carbon steels, and stainless steels. 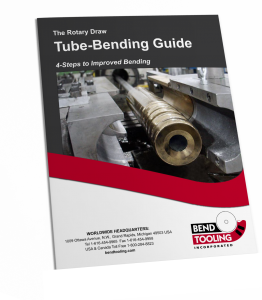 Aluminum-bronze mandrel and wiper tooling is usually recommended for working with mild steel tubing. Hard-chromed mandrel and untreated steel wiper tooling is sometimes preferred because of longer tool-life; however, extended tool-life with these materials is dependent upon continuous and heavy lubrication of the tubing material and tooling surfaces.